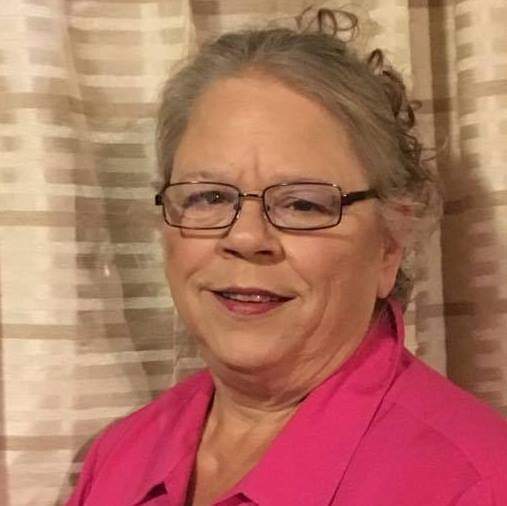 Marilyn Sergent Thornton, 64 was swept away in the arms of Jesus January 14, 2019. Wife of Phillip Thornton. Mother of Eddie (Mary), Chad (Julie), Travis (Amber) Thornton and Amy (Eric) Tyler. Grandchildren Gavin, Hunter, Lilly, Sara, Austin, Gracie, Miranda, Shyanne, Spencer Thornton, Morgan, Kaydee, and Preeya Tyler. Great grandson Braxton Thornton. Brother Timmy (Tracie) Sergent of Hurricane. Marilyn was a member of Mt. Moriah Baptist Church on Turkey Creek Road, Hurricane. She loved Gospel music of all types. She was a member of gospel group The Johnson Brothers, Star Light Trio, The Homeward Bound and the director of the John Henson Sr. choir for 11 years. She also attended the Hurricane of God and played piano for several churches throughout the area. A celebration of life will be held at Allen Funeral Home 8:00 p.m. Thursday, January 17, 2019 with Harold Johnson, Robert Adkins, and Matt Henry with singing by her cousins. Visitation will be from 6 til 8 on Thursday prior to the service. She will also be missed by her many cousins, friends and neighbors. Her greatest accomplishments were her children and grandchildren and being a part of a large extended family and church family. Our family would like to extend our deepest thanks and appreciation to Julie Thornton, Melissa Thornton, Mary Thornton and Pam Shelton for taking care of our mother and making this hard time a little easier. We love you all. Please visit allenfuneralhomewv.com to offer condolences and memories.